I thought I would be playing Arms today. I thought my gaming free time would be spent on Nintendo's latest hit. I was wrong, though. 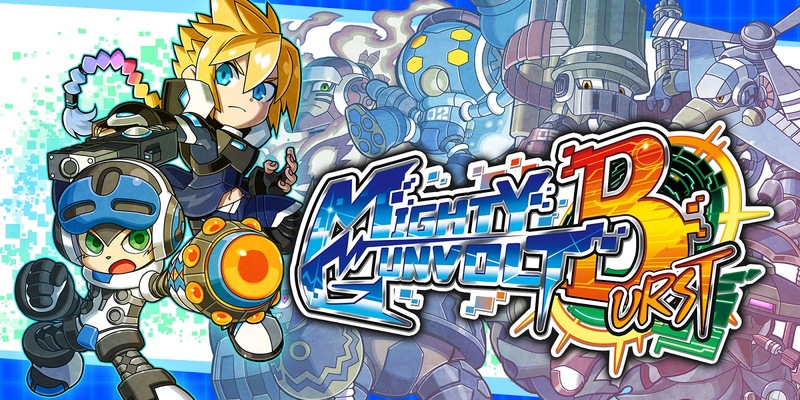 Mighty Gunvolt Burst - this little thing from Inti Creates - is eating up Arms' share. 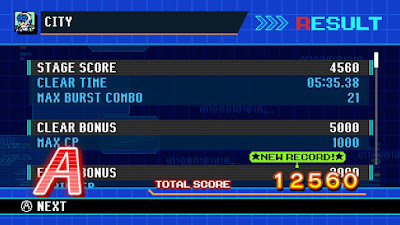 Mighty Gunvolt Burst is fun. Like, really fun. It can be challenging from time-to-time but it's a good kind of challenging; the kind that motivates you to keep playing; the kind that pushes you to up your game and thwart your previous score. Burst is the game Mighty No. 9 should have been. For the uninitiated, Burst gives players the choice to play as Beck from Mighty No. 9 or Gunvolt from Azure Striker Gunvolt. Regardless of who play as you'll be running through the same Mighty No. 9-inspired stages. If that makes you squirm, hear me out: the stage design is good. In Mighty No. 9, stages were hampered by poor design; instant death traps and confounding gimmicks that frustrated than empowered. Nothing in Burst feels unfair. These stages provide a fun challenge and encourage mutliple playthroughs to rack up a high-score and collect everything. The scoring system, while fun in itself, isn't as fleshed out as it could be. You're graded on completion time, how many times you died (you have unlimited lives but your score is penalized) and however many points you racked up through the Burst System. These points are awarded through killing enemies in close proximity. The more Burst combos you chain together, the more extra points you get. It's a neat idea but it doesn't really go anywhere. For example, you could beat a stage with a really high score and all you'll get is a letter grade. That's about it. Scoring doesn't factor into anything substantial other than bragging rights. That's not necessarily a bad thing, though. Scoring is what's keeping me coming back for more. It's an aspect I think speedrunners will enjoy quite a bit. Beck isn't the only familiar face from Mighty No. 9 - the Mighty Numbers are back. And before you squirm again, hear me out: Inti Creates completely retooled their difficulty. The Mighty Numbers dish out familiar attacks patterns, but this time they won't leave you with a heart aneurysm. Maybe it's because the game is presented in a 8-bit/16-bit style, but it's far easier to pick up on a boss' tell than Mighty No. 9. Best of all? Those cheap insta-kill attacks are gone. In their place, the Mighty Numbers have one powerful attack at their disposal. This won't kill you in one-go unless your low on HP. Play your cards right, though, and you'll rise back up to throw down the hurt. It's a great feeling. For better or worse, the Mighty Numbers do not engage in banter with Beck or Gunvolt. They're entirely silent. However, their individual personalities shine through their unique movesets. My personal favorite is Countershade. This grizzled marksman tries to lure players with fake health drops as he bobs in and out of cover. When he gets down to a fourth of HP, Countershade fires a bullet into your screen! You're then forced to finish the fight with a nice bullet hole in the middle of your television (or Switch screen if you're playing undocked). It's not intrusive - it's personality. The absolute best feature in Burst, hands down, is customization. All those collectibles you picked up along the way? This is where they go to work. Using these parts, you can create your own weapon sets. The amount of options and parameters at your disposal is astounding. If you have the right materials, you can choose the way your weapon is fired, it's speed, trajectory, the number of bullets, the size of the bullets, elemancy, whether or not it pierces through walls, and so much more. You can straight up adjust the strength of your shots if you wanted to. Simply put, Burst is a game that you make your own. So the tl;dr of it, Mighty Gunvolt Burst is damn good fun and worth the $9.99 in your pocket. Whether you dish that out now or wait for the 3DS version, doesn't matter; you're in for a treat. Inti Creates has another winner under the belt. loved the game to bits, but i have a question. playing through as beck, it felt like the element options you could earn by beating stages had no effect on bosses. weapons with a few different elements could break some destructible blocks that regular buster shots couldn't, but it never seemed like bosses had elemental weaknesses like you'd normally expect. did anyone else have better luck with boss weaknesses? "Burst is the game Mighty No. 9 should have been." Well, I'm sold. Or I would be, if the 3DS version were out. 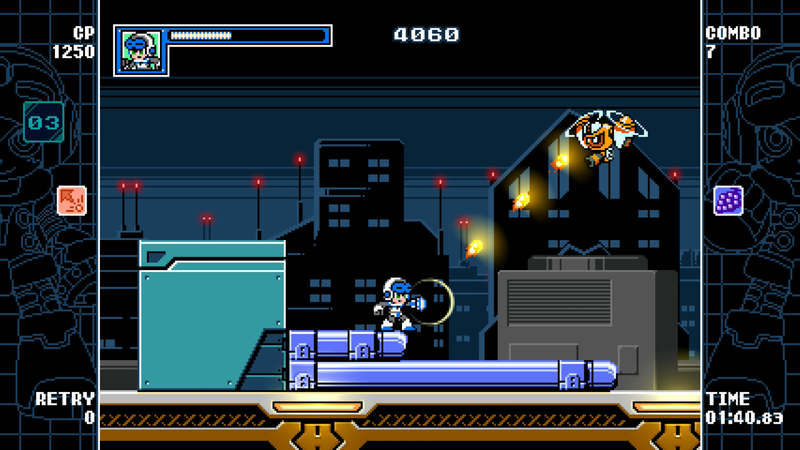 Wow, maybe Mighty Number 9 should have been a 2D platformer game instead all along. I'm probably in the minority here, but I actually liked Mighty No. 9. Minority, yes, but you're not alone. I like MN9, but I will be picking this up ASAP. I think a lot of people did. However, it was clearly not as polished as it could have been and didn't seem to know what it wanted to be, so it's just kind of... "a game," rather than "a good game." Kind of like Yooka-Laylee. Wenk-wenk. Sadly, you are. But I'm right there with you. People always cite level design, but I truthfully don't see the problem. I only remember two, maybe three instant death traps that were avoidable with precision/reaction. 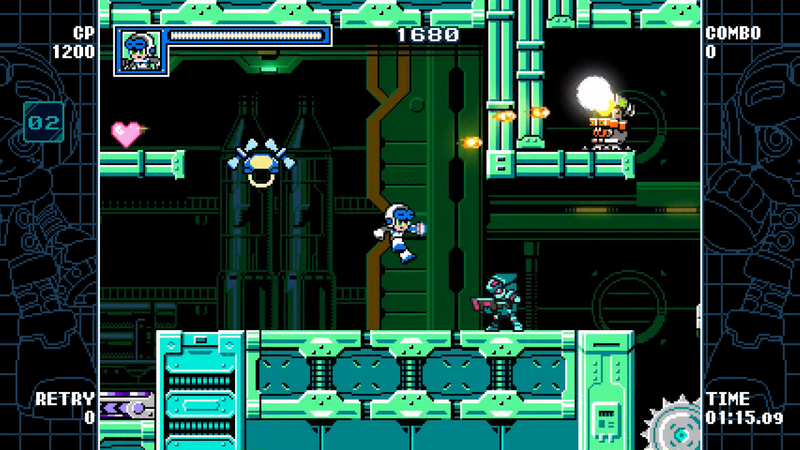 *Sigh* Maybe history will repeat itself and Mighty No.9 2, which will probably never happen, will be the Mega Man 2 to the original Mega Man game. A refinement of the formula. I liked it. It was a decent MM game. I liked it more than MM4-6 and X6-7, for sure. I never backed it and I never held my breath for it. I just played it when it happened to release. Dash mechanic was fun since it forced me to count shots and memorise enemy HPs and patterns. Made bosses a little more annoying, but it was better than them being bland. I won't say that I am on equal terms, but I saw no problem with that game in its own. It is fun and it is more entertaining than I expected. 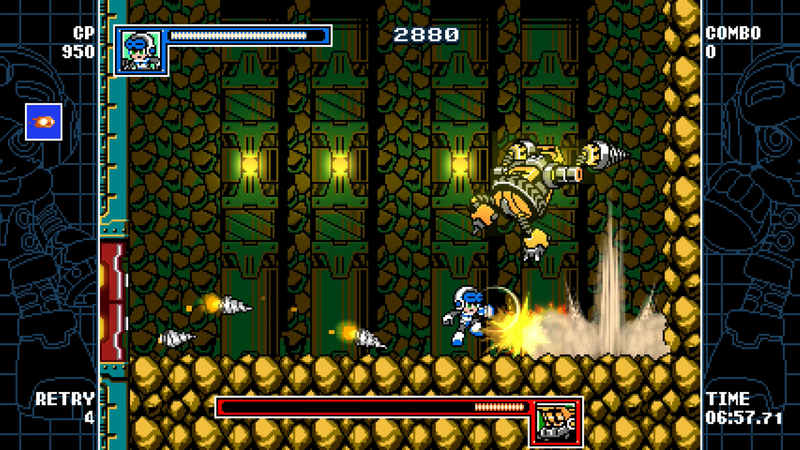 It is not the best of it's genre, it is like that megaman game that you like less. However, concerning the graphics, I would prefer it 2D. Not that I hate the 3D with 2D camera, I just prefer all 2D. 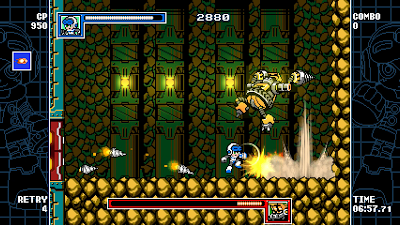 Overall, Mn9 is a good game which was hated because it was cool to hate it, like everything else. i don't think it was because disliking it was cool, but rather because after the success of the kickstarter, the hype went up, way to up, and eventually killed it. I was a decent game, not excellent, sure, but not the most horrible thing ever. but the audience where expecting to much of it. and many people saying "so-so" or "mediocre" at the same time make it sound like "horrible" (with some peoples actually disliking it that much, different person different taste i guess). It makes me really happy to see so many other people that liked mn9. I didn't play it when I got my copy right away because all the bad responses killed my hype. But when I finally gave it a chance I liked it a lot. As others have said it wasn't the triple a blockbuster we were promised and it could have been refined more, but it wasn't bad. I almost think it would have been better if it made less money. They committed to so many stretch goals and ports and I think even if the money to do it was there it because a much bigger project than they could have anticipated or handled. As for burst, I absolutely love it. 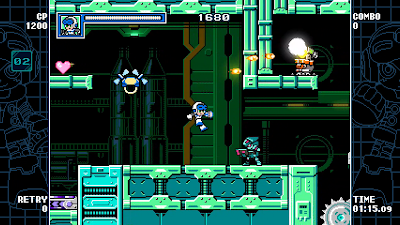 It's definitely the superior game to mn9, and feels like a true megaman continuation. At first I was upset the megaman legacy collection wasn't coming to Nintendo consoles, but now I almost feel sorry for everyone else that burst is Nintendo only. "Best of all? Those cheap insta-kill attacks are gone." But Pyro is the only who had an insta-kill attack. Really enjoy this game a lot! And I agree with the review that the best feature is the custom weapon system. It gives so much incentive to replay levels and explore more carefully. Playing with the different customizations gives the game so much replayability.